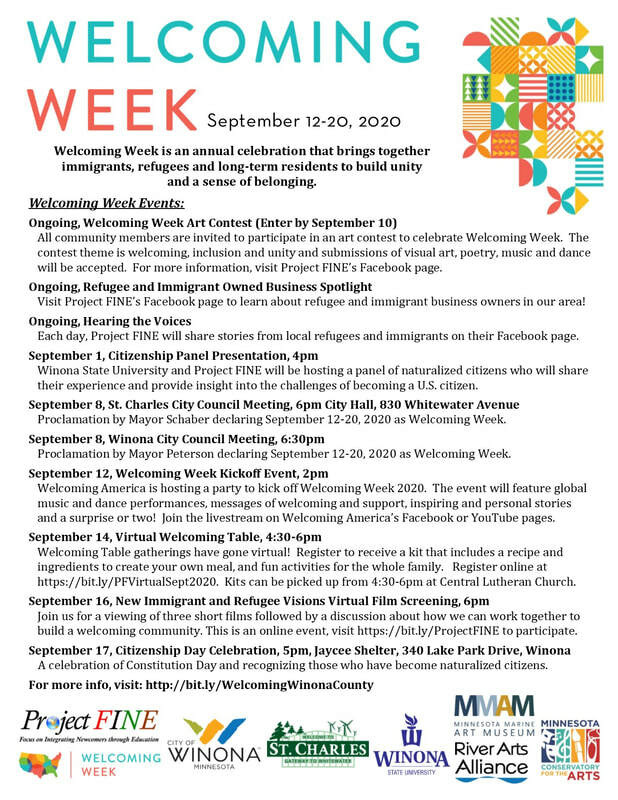 In 2017, Project FINE and the City of Winona collaborated to host Welcoming Week events across our community. As part of our recognition of Welcoming Week, we collected messages of welcome from the community. The messages were displayed at our Welcoming Week Celebration on September 21, and at other locations following the event. ​Share your support with a yard sign! Signs are 18" x 24" plastic and have the message "All Are Welcome Here" in English, Hmong, Spanish and Arabic printed on both sides. ​They are available at our office or Welcoming Week events for just $10, get yours today!